Take a look to the TRAINING AGENDA! 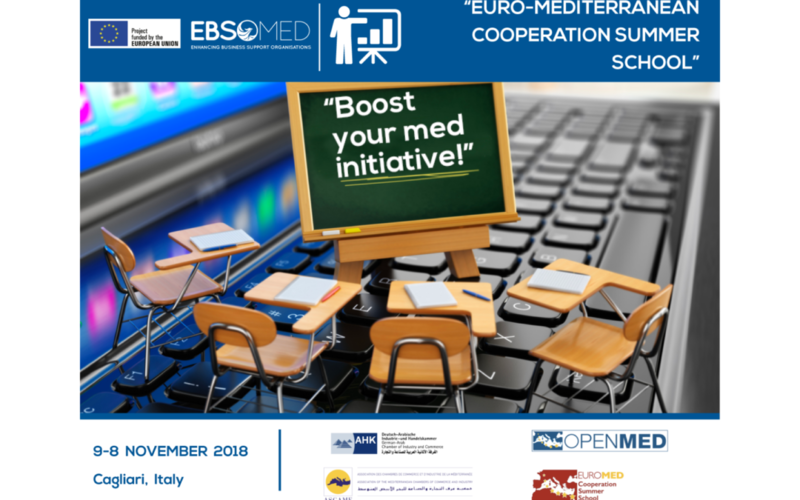 The course is organized and covered by EBSOMED EU financed project! Travel and accommodation costs of participants are co-financed by 80% by the European Union. The training is addressed to executives belonging to Business Support Organisations as Chambers of Commerce, Development Agencies, Business Organisations and other entities supporting SMEs, located in the Mediterranean area. REGISTRATION Med BSO Academy Summer School 2018 is NOW O P E N !